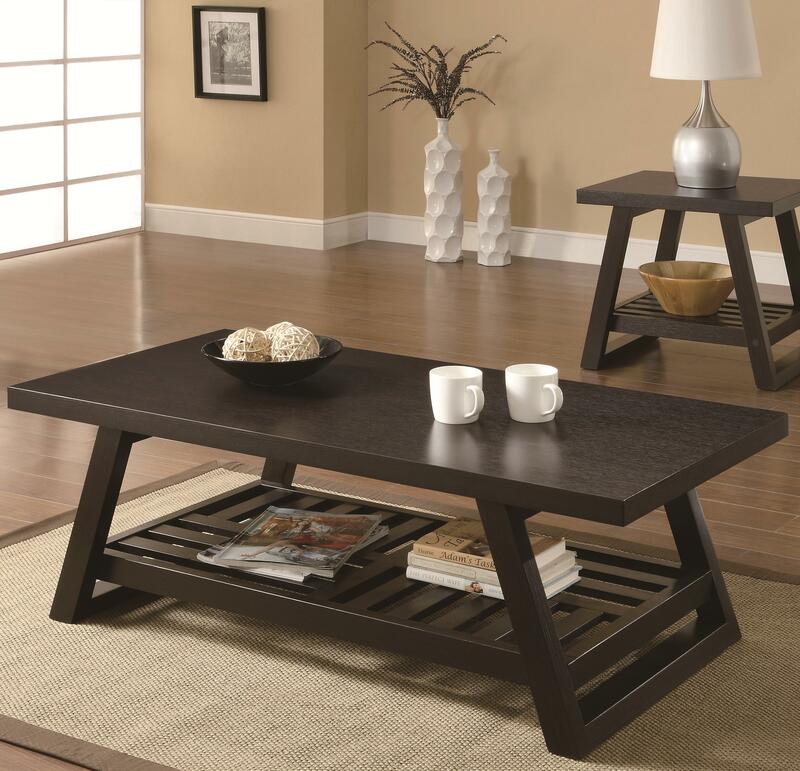 Craft a warm and inviting living room atmosphere by adding this coffee table to your décor. Finished in a rich brown, this table includes a decorative slatted bottom shelf perfect for storing books, games and knick-knacks. A versatile piece, this coffee table allows you to serve snacks and beverages to your guests with ease while providing a convenient surface for playing games or cards. 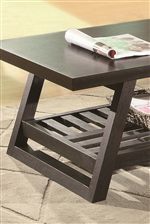 The Occasional Group Casual Coffee Table with Slatted Bottom Shelf by Coaster from Nashco Furniture - Nashville. We proudly serve the Nashville, Franklin, Brentwood, Clarksville, Green Hills, Davidson County, Williamson County, Tennessee area. Product availability may vary. Contact us for the most current availability on this product. The Occasional Group collection is a great option if you are looking for Contemporary Casual furniture in the Nashville, Franklin, Brentwood, Clarksville, Green Hills, Davidson County, Williamson County, Tennessee area.